WHY BUY YOUR SHOES AT THE GOLD AND SHAMROCK? GOLD AND SHAMROCK'S OWNER, MONIKA DONNELLY HAS BEEN A DANCE MUM FOR OVER 20 YEARS WITH FOUR GIRLS AND ONE BOY . WITH THAT COMES EXPERIENCE AND EMPATHY. AT THE GOLD AND SHAMROCK WE ARE PROFESSIONALS AND MAKE SURE EACH SHOE IS FITTED PROPERLY. WE ALSO RECOMMEND A TEACHER APPROVE THEM BEFORE THEY ARE DANCED IN. AS THERE ARE NOW MORE STORES AND VENDORS SELLING SHOES WE WILL BE TAGGING OUR SHOES SO AS TO BE SURE WHEN YOU NEED AN ISSUE RESOLVED THAT WE CAN PROVIDE YOU WITH THE SERVICE YOU NEED. PLEASE DO NOT REQUEST THAT WE PROVIDE SERVICE FOR SHOES PURCHASED ELSEWHERE AS WE ARE A SMALL, INDEPENDENT RETAILER. WE ARE AUTHORIZED DEALERS FOR RUTHERFORD, FAYS, INISHFREE, HULLACHAN AND RYAN & O'DONNELL SHOES. SOCK STYLES CARRIED INCLUDE CHAMPIONSHIP, ANKLE , ULTRA LOW , KNEE LENGTH, SEAMLESS, ARCH SUPPORT, SPARKLE AND DIAMANTE. WE ALSO CARRY CUSTOM BUCKLES, CUSTOM TIARAS, EARRINGS, NUMBER CLIPS, BLISTER BOOTIES AND SO MUCH MORE! WE CARRY EVERYTHING IN THE STORE, AND BRING A SELECTION OF GOODS TO LOCAL FEISSANNA. EVERYTHING IS AVAILABLE ONLINE. All dance shoes can be exchange or returned for credit note within 30 days, provided they have not been danced in and are not soiled or damaged. Please have your teacher check and approve your shoes before you dance in them. We are a small independent store and unfortunately are unable to assist with shoes bought from other locations. There is an additional shipping and handling fee each time we mail an item to you and you want to exchange for another size/product. You may exchange sizes/products at our store location or at a dance Feis for no additional fees. Please call ahead if you want an item brought to a Feis so we may put it aside for you and to ensure we will be attending the Feis. We cannot guarantee we will bring the item to the Feis if you do not call at least 2 days before the start date of the Feis. Please have proof of purchase with you. A Dancer’s feet will sweat while dancing and this moisture goes into the leather of the dance shoes. Shoes need to be allowed to air dry before being put away. This cycle of wet/dry/wet is hard on the leather and can cause deterioration. Using a quality shoe cream will keep your shoes soft and supple. Apply once a week and after competition once the shoes are dry. Dancing is also hard on the stitching , especially so on carpet. To help maintain the stitching use beeswax , rubbing it into the stitching where it comes in contact with the floor, weekly and after competition. Please note it is not recommended to dance on carpet with soft shoes due to the abrasiveness. If the sole of a soft shoe comes away (because of normal wear or it can be caught on the edge of the floor) it can be reattached using a contact adhesive for leather (do not use superglue) . Applying adhesive to both surfaces , allow to dry until slightly tacky then press sides together. Follow instructions on the adhesive. 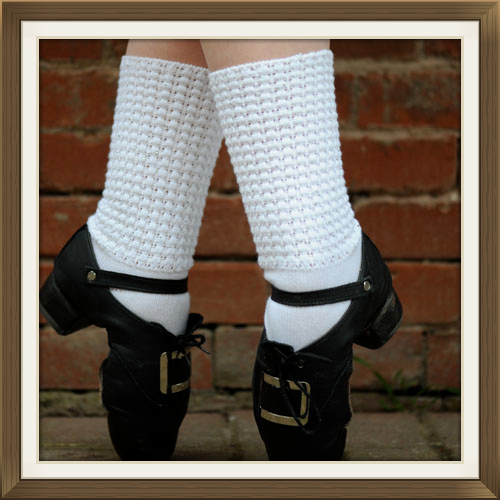 The normal time a soft shoe lasts for a competitive dancer depends on how often and on what surface they dance. It is normal to be replacing soft shoes every three to four months . one way to extend the life of a soft shoe is to have two pairs and alternate wearing them.